The application is totally FREE! You'll never be asked for credit card or checking account information. Auto Loan is NOT a referral agency. Auto Loan is NOT "Rent to Own"
Auto Loan does NOT sell your information to banks and car dealers. 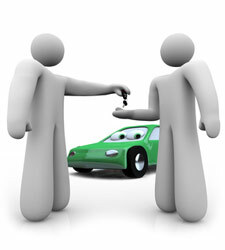 Auto Loan is NOT "Buy Here/Pay Here"
Auto Loan has lent over $100,000,000.00 in our community since 1993. We are NOT somebody in a different state or country working a phone bank. You'll talk to a Real Person! Talk one-on-one with your own local personal account manager. NO recorded message that tells you how much we appreciate your business. Call or email your account manager and expect a fast personalized response. We know you and we can quickly answer your questions or concerns. We give you a Choice! Choose the vehicle that you want from a huge LOCAL inventory. You won't have to choose from just one or two vehicles. You pick the vehicle you want that's in your price and payment range. It's our goal to help you Build or Re-build your credit! Auto Loan is NOT a "buy here/pay here" lender. Auto Loan has helped thousands of people just like you. If you do nothing, nothing will ever change! Let the Auto Loan Team help you... Today.